Established in 1980, Samson began as a pioneer in wireless microphone technology, offering performers freedom and reliability on the world’s biggest stages. Today, Samson products, including loudspeakers, portable PA systems, studio reference monitors, broadcast microphones and headphones deliver user-friendly features with incredible value, while refusing to compromise strict sonic principles. Miami Horror was founded originally as a solo project in Melbourne, Australia by producer and DJ Benjamin Plant. Their second album, “All Possible Futures”, which landed in April 2015, is filled with introspective songs and post-disco party jams inspired by the quirk of Talking Heads, New Order and INXS, through to the pop influence of Michael Jackson, Paul Simon and the dreamy aesthetic of Fleetwood Mac and Tame Impala. About Samson: Samson Technologies began in 1980 as a pioneer in wireless microphone technology. Today, Samson is an industry leader in professional audio solutions whose products are known for their fidelity and reliability. Samson products are preferred by recording artists, performers, educators and audio professionals throughout the world. 1. Thanks for your time! How’s 2016 been treating you all? What were some of the highlights of 2015 for you guys and your music? 2016 has been really great. We’ve finally reached the peak of our second album cycle so we’re really enjoying that. Coachella has been the highlight so far. 2. Can you talk about first forming this band? How did you come up with your band name? What other names were you considering? 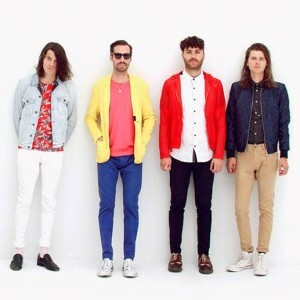 Why did Miami Horror feel like the right choice for you and your music? The band evolved slowly, firstly it was a few outside collaborations with me then slowly developed into the live incarnation which consequently has influenced the sound. I originally liked the name because of the boldness of each word and the contrasting visual connotations they hold. 3. How did you first get involved with the Samson audio gear? I’m pretty sure our first microphone ever was a Samson USB mic when I just started producing music at the end of high school. This time around it was organized through management. 4. What’s your home studio look like now? How do you think the Samson equipment has elevated your sound? We move around a lot between Australia and the Us so we haven’t really had a proper set up in La until now, thanks to the new dedicated gear. We have some really expensive monitors however they didn’t really work within the space because of the low ceiling, the Samson gear has complimented it perfectly. 5. How have your shows been going this spring? How was Coachella? Was it your first time playing there? Yes it was our first time. I’m extremely happy we were able to tick that box off our bucket list. The experience of playing at a festival you have attended many times is great. 6. Who are some of your favorite artists? Who would you love to collaborate with in the future? I find this question really hard. I don’t quite have any favorite artists anymore. They’re always changing and the industry is moving at such a fast pace these days too hard to focus on one act like you used to be able to. 7. At the end of the day, what do you hope is the message of your music? What do you hope listeners are taking away from your songs? We try to leave a lot open to interpretation. We like listeners to create their own memories and experiences to our music. We like to promote imagination and thought. Thanks for your time! How’s 2016 been treating Samson so far? This has been a great year for Samson. We introduced a new line of consumer headphones, our Z Series, that borrow heavily from our experience with both live and studio sound environments. We’ve also had success with our XPD wireless system; people have been using it to get high quality wireless sound into their iPhone videos. 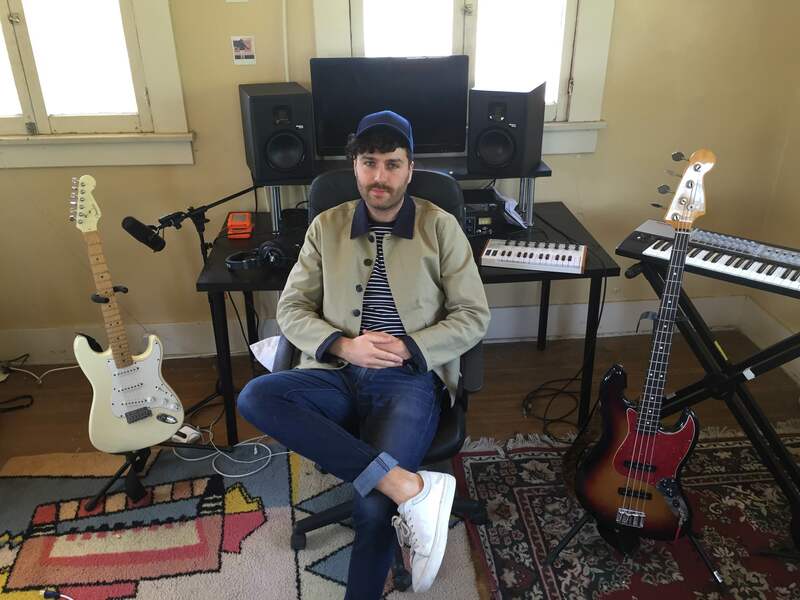 Why did you think that Miami Horror is a good fit for your equipment? It’s always great to work with talented people, and Miami Horror definitely fit in to that category. Their unique sound masterfully mixes tones of the past with live performance and studio technology. The challenge is then being able to pull that off on stage. We knew that we wanted to be part of their process and we could work with them on a technical level. What other artists do you have on your artist roster? We have diverse artist roster of studio musicians, as well as touring artists, in a variety of genres. The list includes solo artists and supporting members of bands such as: Richie Kotzen (Solo, Winery Dogs), Daniel de los Reyes (Zac Brown Band), Rich Redmond (Jason Aldean), Nate Watts (Stevie Wonder) and Pablo Stennett (Ziggy Marley). Where can people purchase Samson gear? Our products can be found first and foremost in musical instrument stores. They’re also available in several consumer electronics outlets and of course many online retailers. Is there anything else that you would like to share about Samson with our readers? We’re musicians here, so it’s always about the music. Our favorite products are the ones that help bring artists closer to their audience.